Mediatization has emerged as a key concept to reconsider old, yet fundamental questions about the role and influence of media in culture and society. In particular the theory of mediatization has proved fruitful for the analysis of how media spread to, become intertwined with, and influence other social institutions and cultural phenomena like politics, play and religion. The mediatization of habitus: The social character of a new individualism. Mediatization represents a new social condition in which the media have emerged as an important institution in society at the same time as they have become integrated into the very fabric of social and cultural life. Making use of a broad conception of the media as technologies, institutions and aesthetic forms, Stig Hjarvard considers how characteristics of both old and new media come to influence human interaction, social institutions and cultural imaginations. 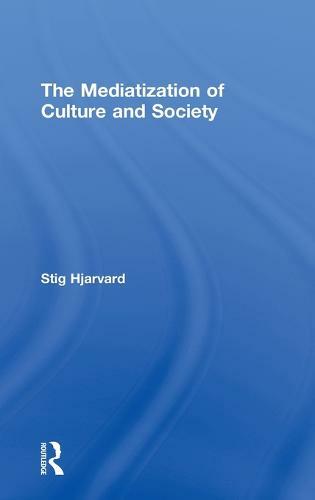 `Stig Hjarvard has through the last decade been a leading scholar in the emerging research on mediatization of culture and society. In this book he synthesizes his theory and makes his extensive work accessible in one English volume. He refines his institutional approach to changes in the media and in social and cultural areas that more and more take on media forms' - Knut Lundby, Professor of Media and Communication, University of Oslo, Norway. `In this noteworthy book, Stig Hjarvard redirects theories about the power of media. Hjarvard reveals a complex and vital picture of how contemporary societies are transforming themselves under conditions of high modernity.' - Gaye Tuchman, Professor of Sociology, University of Connecticut, USA. `Mediatization is one of the most inspired innovations in contemporary media studies, and Stig Hjarvard provides essential reading for the road ahead.' - Mark Deuze, Associate Professor, Indiana University, USA.